The 2018 Lieutenant Governor’s Awards for Excellence in Wine followed a new format this year. After being managed for 15 years by Government House Trust in Victoria, the competition this year was turned over to the Okanagan Wine Festivals Society and was integrated with the fall wine festival competition. The entire competition now is called the British Columbia Lieutenant Governor's Wine Awards. The change came about because Government House needed its resources for other projects. The LG Awards have matured into a respected competition, perhaps more suitably managed by professional competition managers. This year, slightly more than 700 wines were entered. The judging panel included a number of veterans of the previous LG Awards. As in past fall wine festivals, the judges awarded gold, silver and bronze medals. Then the 58 strongest gold medal winners were judged again. This stringent process produced 12 platinum awards and an additional “best of show” award. These awards, which were handed out Thursday evening by Her Honour, Lieutenant Governor Janet Austin, equate to the awards given in previous LG competitions. In those, only 10 to 12 awards were made each year, with no other medals. Later this fall, the winning wineries will be invited to a dinner at Government House in Victoria. The winning wines are a cross section of British Columbia has begun to do best. There is one Pinot Blanc, a varietal which Liquor Distribution Branch wine buyer Barbara Philip advocated as the signature grape for the Okanagan in her Master of Wine thesis. There is a Pinot Gris, a Chardonnay and a Riesling, other leading white varietals in the Okanagan and Similkameen. There is a sophisticated sparkling wine. There are two Pinot Noirs, three Syrahs and one Cabernet Franc, all rising stars among the red varietals in BC. And for consumers looking for something different, there is the remarkable Optima desert wine and the Okanagan’s first red from Touriga Nacional, a Portuguese varietal usually associated with Port. Here are notes on the winning wines. With the exception of the sparkling wine, the tasting notes are all from the winery web sites. Black Hills Estate Winery Syrah 2016 ($39.90). This vintage of Syrah is elegant, offering notes of blackberry, blueberry, and black & white pepper on the nose with hints of cocoa and eucalyptus lingering in the background. Soft, supple tannins dominate the palate with rich black fruit carrying through for a mouth-watering finish. This wine will pair well with wild game and hearty red meat dishes. Enjoy now or cellar for up to eight years. Hillside Estate Winery Reserve Pinot Gris 2017 ($24). Our classic Pinot Gris—luscious ripe fruit created scents of orange blossoms and vanilla mingled with tropical fruit aromas followed by a rich and supple mid-palate. Kismet Estate Winery Syrah Reserve 2016 ($39.99). Syrah is especially suited to the warm dry climate of the South Okanagan, where it reaches full ripeness with deep purple colour and spicy aromas. Aged for 18 months in new French and American oak barrique barrels. Bright cherry red colour with a good depth and bluish hues at the rim. Intense red currant and red berry fruit aromas along with spice and vanilla. A lively, vibrant palate with intense flavours. Kismet Estate Winery Cabernet Franc Reserve 2016 ($39.99). Smokey toasty, blackberry, black cherry and leather. Sumptuous soft and seamless texture. Focused acidity lifts the fruit of this viscous wine. Structured bold and emery tannins complete the finish. Aged for 18 months in French and American barrique barrels. Lake Breeze Vineyards Pinot Noir 2016 ($25.90 but sold out). Best wine of the show. This wine is a medium bodied elegant red with rich aromas and flavours of strawberries and plum, followed by a touch of warm spice. Well integrated tannins and generous length reflects the terroir of this estate grown Pinot Noir. An excellent structured wine designed for food. Little Engine Winery Silver Pinot Noir 2016 ($35). A beautiful ruby colour wine that beckons with initial notes of savoury herbs, dried brush and red fruit leather. Fresh and juicy start on the palate with bing cherries and dried hibiscus with a considerably lengthy finish highlighting spicy red fruits, anise and a touch of tarragon. Approachable and silky upon release this wine will develop well through 2023 under ideal cellaring conditions. Moon Curser Vineyards Touriga Nacional 2016 ($39.99). The 2016 Touriga Nacional is a dry, medium-bodied red wine with a nose of spice, red fruits, fennel seed and floral notes. The palate is similar to the nose but with hints of leather, tobacco and cedar. Medium weight, with a silky mouthfeel and approachable tannin and acid structure, the wine delivers an intriguing profile of savoury and fruity characters. Nk’Mip Cellars Qwam Qwmt Chardonnay 2016 ($28.99). These Chardonnay grapes were whole-bunch pressed to extract the highest quality of juice. Complete malolactic fermentation during 10 months in French oak barrels developed the unique bouquet and mouth-feel. Rich and nutty in flavour, offering lots of caramel, marzipan and pear. Enticing and aromatic with subtle layering of honey and pineapple is followed by a lingering vanilla finish. Quails’ Gate Estate Winery Totally Botrytis Affected Optima 2017 ($28.99 for 375 ml). For more than 25 years Quails’ Gate has become known for this wonderfully unique dessert wine. Our Optima grapes are grown at the base of the Quails’ Gate Estate vineyards where the proximity to the lake encourages a micro flora known as Botrytis Cinerea or Noble Rot to grow on the ripe grapes, which concentrates the flavours and intensifies the sugars to produce a Sauterne-style wine. Rust Wine Co. Syrah 2016 ($37). Q Block is situated on the northern edge of the Black Sage Bench in Oliver. Sandy loam soils and a western aspect produce a Syrah with ripe black fruits, cracked pepper and olive notes. Will continue to age well for 5+ years. Wild Goose Vineyards Riesling 2017 ($16.52). This fruit forward Riesling comes from estate grown grapes, including the 33-year-old Wild Goose Vineyards and the 11-year-old Secrest Vineyards. Sweet reserve is added to balance the refreshing racy acidity, a “classic” method of winemaking. The nose shows aromas of floral, spice and apricot, while flavours of minerality and citrus follow. The Arterra Canada wineries styled as Great Estates of the Okanagan have just opened a wine experience centre in Penticton that appears to break new ground for the B.C. wine industry. The centre, located in a 2,500 square foot are on the ground floor of the Penticton Lakeside Resort’s new wing, effectively is the first offsite tasting room for an associated group of wineries. Offsite tasting rooms had been proposed by Okanagan wineries during the liquor policy review several years ago by the previous provincial government. Even though there is nothing radical about the idea – these exists in many other wine regions – the proposal was left on the cutting room floor. How has Great Estates pulled it off? They took over a grandfathered wine store license that once belonged to Harry McWatters. The store in the Wine Experience Centre sells wines produced at the eight or nine Arterra brands in the Okanagan. The license prevents the store from selling non-Arterra wines – but is will not stop the centre from inviting other wineries in to host tastings. The store presumably pays the bills for a centre that is far more than just a wine store. “The whole objective is to focus attention on the South Okanagan, in terms of a destination and a region,” says Josie Tyabji, Senior Director Estates and Industry for Arterra. The centre will host tastings, educational programs and food and wine pairings that will involve numerous South Okanagan wineries, not just the Arterra group. At least some of the credit for this idea belongs to Ms. Tyabji. “How did it come about?” she recounts. “I was driving by this building daily. I looked at it and said, that is an incredible space.” It was, she decided, an ideal place in which to develop a wine presentation centre, a ground floor space with windows looking west toward the beach. Those at the tasting bar get a million dollar view along with their wines. The media announcement of the centre included six premium wines that represent some of the Great Estates wines that can be found here. These are my notes. See Ya Later Ranch Legacy Chardonnay 2016 ($32.99). This wine begins with lovely aromas of citrus and pineapple mingled with buttery vanilla, which are echoed on the palate. The oak is very subtly integrated (the wine aged 10 months in barrel, 25% new). Quite simply, this wine is delicious. 92. Black Sage Vineyard Meritage 2015 ($60). The blend is roughly equal parts Merlot, Cabernet Sauvignon and Cabernet Franc, with a splash of Petit Verdot. This wine was a selection of the 10 best barrels. It begins with aromas of cassis, mint, black cherry and chocolate. Rich on the palate, the wine has flavours of blackberry and black currant. The texture is still firm, indicating a wine that will age well. 90. Inniskillin Discovery Series Zinfandel 2015 ($27.99.) This is one of the best Okanagan Zinfandels I have ever tasted. It begins with jammy red fruit aromas, leading to luscious flavours of blackberry, cherries and spice cake. The finish is vibrant. 92. Inniskillin Dark Horse Vineyard Pinot Noir 2016 ($35.00). This wine begins with toasty and stewed fruit aromas (cherry, strawberry). The wine had good weight and a silky texture, with flavours of cherry, vanilla and mocha, and with earthy notes on the finish. 90. Nk’Mip Cellars Qwam Qwmt Syrah 2015 ($32.99). Bold and ripe, the wine begins with aromas of black cherry and deli meats lightly spiced with black pepper. On the palate, there are layers of fig, black cherry and pepper. 91. SunRock Vineyards Illumina 2013 ($39.90). This is a blend of 64% Zinfandel and 36% Shiraz. Subsequent vintages have slightly more Zinfandel. The Zinfandel accounts for the aromas of blackberry and black cherry. These are echoed on the palate, along with spice and vanilla. 91. Jennifer Molgat feared that municipal inspectors would block her application for a tasting room license in 2008 for her View Winery & Vineyard in Kelowna. They might not like the look of the old packing house, circa 1922, which houses the winery and a sister producer, Wards Cider. This is the oldest winery building in the Okanagan. But no objections were raised and she now has a charming heritage wine shop in a structurally sound building. The property, in the family for five generations, was an historic apple grower in East Kelowna. Chris Turton, Jennifer’s father, began replacing some apple trees with vines in 1994. At the same time, he began producing a bulk cider for Alberta’s Big Rock Brewery. For a number of years, he arranged to have the cider made at the Calona Winery until that winery’s other activities squeezed him out and forced him to license the packing house for cider. He got Jennifer, a former teacher, to help arrange the license. Because there also are 50 acres of grapes on a hillside behind the packing house, Jennifer and her husband, Kent, decided to launch a winery. Supported by the cash flow from the cider, The View can employ two professional winemakers to make 10,000 cases of wine annually. Cider is the engine driving the business here, with about a million litres of cider produced annually. When the winery was launched, The View’s first winemaker, a German, was offended at having to ferment apples and returned to Germany. Subsequent winemakers have embraced both apples and grapes to develop an impressive portfolio of wine and cider. The vineyard grows primarily aromatic whites (Riesling, Gewürztraminer and Ehrenfelser). Recently, Pinot Noir, a premium wine grape, has replaced a disease-prone white called Optima. The vineyard’s flagship red is Pinotage, a South African red grown by just two other Okanagan producers. The View’s eight-acre block is the largest Pinotage planting in the valley. Because few consumers knew Pinotage, Jennifer for several vintages just put a proprietary name on the labels. The excellent rosé was released as Distraction Rosé. A few years ago, her winemakers – who were already making a red and a rosé from the varietal – made a white Pinotage as well. The wine was a hit in the tasting room. Since then, The View has waved the flag for all of its Pinotage wines. The Distraction name is now attached to Distraction Frizzante, which has 60% Pinotage in the blend. It is one of several sparkling wines in The View portfolio, which also includes Bling, said to be Canada’s first sparkling wine in a can. The View Single Vineyard Riesling 2017 ($17.95 for 175 cases). Think Mosel: alcohol is a moderate 10.6%. The generous residual sugar of 18.4 grams is balanced with 10.8 grams of acidity. The wine has aromas and flavours of lemon around a spice of minerality. The texture is full but the finish is refreshingly tangy. This wine will age very well. 90. The View Single Vineyard Ehrenfelser 2017 ($20.95 for 125 cases). This wine begins with floral aromas. The flavours explode on the palate: nectarine, apple and pear with a tangy hint of kiwi on the finish. A touch of residual sugar lifts the texture and the aroma but the finish is dry. 91. The View Single Vineyard Gewürztraminer 2017 ($19.95 for 300 cases). The wine begins with delicate aromas of rose petals, spice and grapefruit rind. On the palate, there are richly appealing flavours of lychee and grapefruit. The wine is balanced to finish dry. 90. The View Revolution Gewürztraminer 2017 ($19.95 for 150 cases). This is a dry, barrel-fermented Gewürztraminer. The wine begins with aromas of grapefruit. On the palate, the flavours are rich, with flavours of lychee, vanilla and ginger. The finish is dry. This is a complex wine and quite an interesting change of pace from mainstream Okanagan Gewürztraminers. 91. The View Single Vineyard Pinot Gris 2017 ($19.95 for 100 cases). This wine begins with aromas of citrus and pear. On the palate, it has flavours of pear, apple, melon and spice. The finish is crisp. 91. The View Silver Lining Estate White 2017 ($16.95 for 1,500 cases). This is a blend of 55% Gewürztraminer, 25% Ehrenfelser, 17% Riesling and 3% Pinot Gris. The wine (judged best white blend at this spring’s Okanagan wine competition) begins with inviting fruit aromas – peach, guava, and pear. That leads to an absolute fruit bowl of flavours with a spicy finish. 91. The View Silver Lining Estate Rosé 2017 ($19.95 for 825 cases). This is a blend of 42% Pinotage, 32% Gewürztraminer, 16% Riesling, 5% Ehrenfelser, 3% Baco Noir and 2% Pinot Noir. It presents with an appealing rose petal pink hue and aromas of strawberry and watermelon. On the palate, the flavours are bold – cherry, strawberry – with a juicy texture and a lingering finish. 90. The View Single Vineyard Pinotage Rosé 2017 ($20.95 for 240 cases). The wine, judged best rosé at the spring competition, presents with a delicate rose hue in the glass. It begins with aromas of wild strawberry and watermelon; these are echoed on the palate, along with flavours of pink grapefruit. The wine has just a slight backbone of tannin that compliments the dry finish. 92. The View Distraction Frizzante 2017 ($19.95 for 280 cases). This is a blend 0f 60% Pinotage, 20% Pinot Noir, 15% Riesling and 5% Ehrenfelser. The speciation sheet is silent on the matter but this likely is a carbonated bubbly, a perfectly fine technique for a refreshing fun wine. It id fresh and fruity, with notes of strawberry. 90. The View Pearls Traditional Brut 2016 ($34.69 for 275 cases). This bottle-fermented sparkling wine is 93% Riesling and 7% white Pinotage. It has aromas of citrus mingled with toasty lees. On the palate, there are flavours of citrus and apple. The wine is bone dry. 90. The View Pinotage Reserve 2015 ($25.95 for 647 cases). The grapes for this wine had 72 hours of skin contact. Close to 20% of the juice was bled off to give the finished wine more concentration. This is a generous wine, beginning with aromas of black cherry, blackberry jam and toasted oak. On the palate, there are flavours of black cherry and blueberry. 90. Wards Cherry Apple Cider ($11.95 for six pack). This is a blend of cider apples and Montmorency Cherry juice fermented with Champagne yeast. The cider begins with an appealing rosé hue. The aromas and flavours of apple and cherry mingle in a refreshing off-dry cider. 89. Wards Ginger Apple Cider ($11.95 for six pack). This is made with a blend of cider and dessert apples along with natural ginger. It is fermented with Champagne yeast. The subtle aroma and flavour of ginger is a perfect complement to the fresh apple. The finish is crisp and refreshing. 90. Wards Pickers Hut Premium Cider ($6.95 for 650 ml). This beverage is made with a blend of cider and dessert apples, fermented with Champagne yeast. It is aromatic and off-dry, beginning with aromas of apple and pear which are echoed in the flavour. It is balanced to finish crisply. 90. Wards Sangria Cider ($8.95 for 650 ml). The winery calls this a “unique mash-up unlike anything you’ve tried before.” It is a rosé-hued cider made with cider apples and grapes (Pinotage and Gewürztraminer), fermented with Champagne yeast. The cider has persistent bubbles. The aromas and flavours mingle berry and apple. It is a refreshing off-dry cider looking for a hot summer afternoon. 87. Wards Frostbite Cider ($8.95 for 650 ml). Made with cider apples and hops, this is the first hopped cider from Wards. The plan had been to make this with a late harvest apple. However, an early frost nipped the apples, likely accounting for the golden hue and rich texture. The cider is dry, nicely punctuated with the hops flavour on the finish. 90. Fitzpatrick Family Vineyards specializes in very fine sparkling wines but Gordon Fitzpatrick, the president, has been in the wine business long enough to know there is also a solid demand for still wines. Accordingly, the winery also produces still table wines. It has recently released five white table wines and one red. Consumers who turn off Highway 97 just south of Peachland to visit the winery will also be impressed with the affordable quality of these wines. They should be pleased to find a winery at all. In July, a ferocious forest fire on nearby Mount Eneas roared down the hillside. The winery was evacuated for three days. But for Highway 97 – and skillful fight fighting – the flames might well have swept through the vineyard toward the winery. Some embers did reach the vineyard but were put out. The winery, formerly Greata Ranch Vineyards, had been extensively remodelled over two years before re-opening to the public in the spring of 2017. Fortunately, the attractive structure, with a restaurant and an underground Champagne cellar survived. In 2003, the massive fire swept across Okanagan Mountain Park and ultimately destroyed more than 400 homes in Kelowna. Its progress was contained at the border of the CedarCreek vineyard. However, the thick smoke saturated the grapes to the detriment of their winemaking quality. Because the 2018 Eneas Mountain fire was earlier in the season, smoke taint is unlikely to be an issue for the Fitzpatrick winery. That will be a relief for those who have come to enjoy the purity and the freshness of the wines here. Fitzpatrick The Mischief Pinot Blanc 2017 ($18.50 for 516 cases). The wine was aged 55% in neutral oak and 45% in stainless steel in an apparent strategy to augment the texture while retaining the varietal’s crisp fruit. It has aromas of melon and apple that are echoed on the palate, along with a mineral spine. The finish is dry. 90. Fitzpatrick The Lookout Riesling 2017 ($18.50 for 377 cases). The wine begins with a pleasant note of petrol mingled with citrus. On the palate, there are flavours of lime and green apple. The wine has 20.3 grams of residual sugar which lift the aromas and fleshes out the texture. At the same time, bright acidity balances the palate superbly. The wine has a lively intensity on the finish. The wine is drinking well now but will age into an even more complex wine over the next five years. 93. Fitzpatrick The Unwinder Ehrenfelser 2017 ($19.50 for 265 cases). The Fitzpatrick family established a cult following for Ehrenfelser at CedarCreek Estate Winery. They continue to champion a wine some call “fruit salad in a glass”. It begins with aromas of ripe pineapple and peach, leading to layers of tropical fruit flavours. There is a touch of residual sugar but the wine is balanced toward a dry, food-friendly finish, with a spine of minerality. 91. Fitzpatrick Interloper Gewürztraminer 2017 ($18.50 for 512 cases). Made with estate-grown fruit, the wine begins with aromas of ginger and lychee which carry through to the flavours, along with hints of mango and ripe apple. The wine has good weight, finishing on the dry side. 90. Fitzpatrick The Runabout White 2017 ($16.50 for 803 cases). Made with estate-grown fruit, this is a blend of 43% Chardonnay, 31% Gewürztraminer, 19% Pinot Blanc and 7% Riesling. The long, cool fermentation was in stainless steel. The wine has a moderate 12.2% alcohol, with a crisp dry finish. It has aromas of apple and peach which are echoed on the palate. 90. Fitzpatrick Sudden Inversion Meritage 2016 ($28.50 for 992 cases). The winery sourced the grapes from Maverick Vineyard in Osoyoos. The blend is 67% Merlot, 19% Cabernet Franc, 14% Cabernet Sauvignon. The wine was aged 14 months in French oak (12% new). The ripe tannins and the subtle use of oak contribute to the generous and drinkable texture. The wine has aromas and flavours of black cherry, blueberry and plum with spicy fruit and chocolate on the finish. 91. Whenever I recommend Lariana Cellars to someone (which is often), I cannot help but worry these wine lovers will get tangled up with U.S. border agents instead. The reason is that this small Osoyoos winery is just a stone’s through from the Canada-U.S. border, just east of the U.S. Customs and Immigration buildings. To reach the winery, you drive down Highway 97 as if you were going to cross the border. At the last moment, you exit left from the highway. You drive around the Customs buildings to get to 2nd Avenue. The winery will be on your left and border will be on the right. Dan and Carol Scott, who own Lariana, are significantly more pleasant to deal with than most U.S. border guards. Their winery is a gem among small producers, with exceptional and consistent quality. Here is the winery’s profile, excerpted from my 2017 book: Icon: Flagship Wines from British Columbia’s Best Wineries. Carol Scott’s interest in wine-growing began when, as a teenager, she spent several summers working in the Shannon/Pacific vineyard on Black Sage Road. Her father, Larry Franklin, was one of the vineyard’s owners. Until the hybrid grapes were pulled out of the Okanagan in 1988, Larry and Carol used some for home winemaking in the family’s Burnaby home. New owners bought the vineyard in the early 1990s and planted Bordeaux varietals. In the late 1960s, not long after Shannon/Pacific was planted the first time, Larry bought a 4-hectare (10-acre) Osoyoos orchard property that included the Shady Lagoon Campsite on Osoyoos Lake. Carol, a travel agent, and her husband, Dan, a machinist, took over the property in 1989. They still operate the lakeside recreational vehicle camp. Growing cherries and apples became unprofitable and the trees were pulled out in 2006. “It was my dream to plant grapes,” Carol says. Since 2007, they have planted 1.8 hectares (4.5 acres) of vines. The largest block is Cabernet Sauvignon, followed by Carménère and Viognier. Accordingly, the winery’s red blend is anchored by Cabernet Sauvignon. The Merlot and Syrah fleshing out the debut blend are purchased from nearby growers because Dan and Carol’s vineyard is fully planted. They have no current plans to double production by turning the campground into vineyard. The modest winery, which was built in 2012, is very well-equipped. Lariana was one of the earliest small wineries in the Okanagan to install a concrete egg for fermenting and aging wine. The 1,800-litre vessel, made in California, is used to ferment Lariana’s exceptional Viognier. The reds are fermented in small stainless-steel tanks and aged in oak barrels. Lariana’s winemaking consultant is Senka Tennant, the founding winemaker with Black Hills Estate Winery. Currently, Senka is the co-proprietor and winemaker at Terravista Vineyards. Lariana’s decision to launch its red portfolio just with Twelve, a premium red wine named for the vintage, echoes Senka’s strategy at Black Hills. That winery opened in 2001 with a Bordeaux blend called Nota Bene, which quickly became and remains to this day an Okanagan icon. The winery’s name, Lariana, pays homage to Carol’s parents, Larry and Anna, who nurtured her love of wine in the Shannon/Pacific vineyard. It has been a few months since I tasted the wines at Lariana. I would not be surprised to learn some are now sold out. I was also allowed to taste several wines not yet released. The winery’s website lists the liquor stores and restaurants which sell Lariana wines. Here are my notes. Lariana Viognier 2017 ($26 for 270 cases). This wine begins with aromas of citrus and pineapple. On the rich palate, there are flavours of grapefruit, pineapple, apricot and ripe apple. The finish persists. 93. Lariana Cabernet Sauvignon 2015 ($50). If there was ever a vintage to ripen this varietal fully, it was 2015. Lariana has produced a powerful wine that begins with aromas of of black cherry, cassis and vanilla, On the rich palate, there are flavours of black cherry, black currant, plum. There is a long finish of sweet berry flavours mingled with chocolate and spice. 93. Lariana Cabernet Sauvignon 2016 ($50). This is also a bold and ripe wine, with aromas of black cherry, cassis and spice. On the palate, there are layers of dark fruit flavours mingled with vanilla and chocolate. 93. Lariana Carménère 2016 ($50). The wine begins with aromas of black pepper, black cherry and plum, which are echoed on the palate, along with dark chocolate and fig. The finish is very long. 93. Lariana Carménère 2015 ($50 for 218 cases). This wine was aged 18 months in French oak (35% new). Once again, the wine begins with aromas of pepper, black cherry and fig which are echoed on the palate along with dark chocolate. The flavours are ripe and rich, reflecting the warm vintage. 92. Lariana Fifteen 2015 ($45 for 565 cases). The blend is 63% Cabernet Sauvignon, 20% Syrah and 17% Carménère. The wine was aged 18 months in French oak (35% new). This is a bold and generous wine. Aromas and flavours of dark fruit mingle with spice, fig, dark chocolate and tobacco. The wine has long, ripe and polished tannins. 94. Lariana Sixteen 2016 ($45). This wine, which will be released in the fall of 2019, is 65% Cabernet Sauvignon, 26% Syrah and 9% Carménère. At this stage, it is a dark, brooding red with aromas of spice cake, dark fruit and vanilla. On the palate, there are flavours of black cherry, black currant and plum. The firm, ripe tannins portend a wine with good ability to age. 94. In a landmark release, Summerhill Pyramid Winery has sent its first two Demeter certified biodynamic wines to market. The history and explanation was penned by winery president Ezra Cipes. Here it is, reproduced from the winery’s website. My brother Gabe moved back to the family farm in 2004, and I followed in 2005. At that time our vineyard had been managed organically for 17 years. We noticed that the leaves were a little yellowish green and the crop was smaller than it should be. One of our mentors Gabriel Howearth described to us that no matter how you do it, farming is always mining. Crops mine nutrients from the soil, and we are hard on the land when we drive a tractor over it. Conventional farmers can add nitrogen fertilizer, but organically it is not so easy. We had to build up the soil so that nitrogen and other nutrients could be available to the vines, and so we set upon the Biodynamic path. Biodynamics views the farm as an ecosystem, connected to the greater systems of the earth, solar system, and universe. It’s a wonderful feeling for the farmer to be a part of something greater than oneself, and the biodynamic program of composting and making special plant and manure preparations is demonstrably good for the farm. By 2012 my brother Gabe had been practicing Biodynamics for long enough that the leaves on the vines were green again and the crop level was back to a balanced, sustainable level. At that time we sought Biodynamic certification through Demeter Canada. Also at that time, we started to experiment with making wine biodynamically. The biodynamic wine standard is quite beautiful. It describes “…the human being in the role of an artist to develop soil, fertility and plant in such a way that fruits of vital quality become available,” and then a production method so that “Nothing shall conceal the true nature of the factual properties of the produce.” Therefore when we make wine biodynamically we add no yeast or nutrient and no fermentation or processing aids of any kind. We create the right environment for the juice to turn naturally to wine, and we monitor the process. At the end we clarify the white wine with bentonite and add a little sulfur as a preservative. That’s it; that’s all. The first year we made wine this way was 2013 with our Summerhill Vineyard Riesling. Winemaker Eric von Krosigk says the process gave him new gray hairs. The fermentation was slow and the wine developed H2S, which does not smell at all pleasant. Apparently this chemical reaction occurred because there was not enough nutrient in the juice for the yeast to do a tidy job. Eric ended up pumping that wine through the air into a new vessel so that the atmospheric oxygen could act as a nutrient for the yeast. The smell and taste of H2S receded and the wine ended up being beautiful for all its imperfection. We learned a lot about the health of our vineyard through that early trial, and have made wine in the same method from our estate grown fruit ever since. Now when we make wine biodynamically it is proof of the vitality of our vineyard. This year we decided to see about certifying our wine as biodynamic through Demeter Canada. From the 2017 vintage we vinified Riesling and Gruner Veltliner as single estate varietal wines. Summerhill Vineyard is now healthy and vital to a point where the fermentation happened beautifully. Assistant Winemaker Michael Alexander says that the process is still stressful for the winemaking team, as the transformation of sugar to alcohol does not happen as quickly as when we add organic yeast to the crushed fruit, but after a few slow days it happens naturally and efficiently enough to show the true nature of the fruit and of the farm, and creates wine with an individualism that is the essence of the aesthetic pleasure a bottle can provide. The wines are outstanding achievements. Here are my notes, along with notes on several organic wines released earlier in summer. Summerhill Summerhill Vineyard Riesling 2017 Biodynamic ($32.20). This wine great purity of fruit. It begins with citrus aromas. On the palate, there is a lovely dance between the residual sugar and the bright acidity. There are tangy flavours of lemon and lime. The moderate alcohol, 11.5%, contributes to the refreshing finish. 92. Summerhill Summerhill Vineyard Grüner Veltliner 2017 Biodynamic ($32.20). Lightly golden in hue, the wine begins with aromas of melon and pepper. Pepper is often a characteristic of this varietal. Here, it also appears on the palate along with flavours of apple, melon and grapefruit. This complex wine has good weight on the palate, with a dry finish. Summerhill planted this varietal in 2013. 92. Summerhill Alive Organic White 2017 ($21.28 for 3,200 cases). This is a blend of 37% Kerner, 27% Pinot Gris, 26% Gewürztraminer, 8% Chardonnay and 2% Riesling. The wine begins with herbal aromas mingled with pear and apple. On the palate, there are flavours of apple and citrus. The finish is crisp and dry. 88. Summerhill Alive Organic Rosé 2017 ($20.70 for 600 cases). Made with Pinot Noir, the wine has a delicate pink hue. Fruity on the nose, it has flavours of wild strawberry. The finish is crisp and dry. 87. Summerhill Alive Organic Red 2016 ($26.44 for 2,300 cases). This wine is 41% Syrah, 40.5% Merlot and 18.5% Cabernet Franc. It was partially fermented and aged for six months in 10,000 litre oak vats and then aged in neutral barriques for 12 months. The wine begins with aromas of spice cake and cherry. It is firm on the palate, with flavours of black currant mingled with cedar. 88. Summerhill Organic Riesling 2017 ($25.29). The winery suggests this wine is “classically” balanced with 39 grams of residual sugar and 7.5 grams of acid. Reminiscent of a German Riesling, the wine has aromas and flavours of lemon and nectarine. The off-dry finish lingers. 89. Summerhill Organic Syrah Malbec Rosé 2017 ($ Sold out). This is 72% Syrah, 28% Malbec – made by the saignée method. The colour is vibrant, the result of 24 hours skin contact. It begins with aromas of cherry and plum, leading to flavours of plum with an earthy hint. It is an assertive wine, with a hint of sweetness and lightly tannic spine. 90. Cipes Blanc de Blanc 2012 ($46). Made with Chardonnay, this elegant sparkling wine has been on the lees at least four years. It has developed fine bubbles and hints of brioche in the aroma. On the palate, there are hints of green apple and citrus. The finish is crisp and dry. 92. From its start in 2013 on a postage-stamp vineyard new Cawston, Corcelettes Estate Winery now is solidly established on 21 acres north of Keremeos in the Similkameen Valley. The original Corcelettes winery was opened in 2013 on a three-acre vineyard near Cawston by Urs and Barbara Baessler and their winemaker son, Charlie. His wife, Jesce, has now joined the business to look after marketing and to manage the tasting room. The original vineyard, which was sold last year, was planted just to white varieties, including Chasselas, the Swiss white varietal. The opportunity to grow quickly came in 2015 when the Baessler family was able to buy the former Herder winery. That winery had operated from 2004 until it closed in 2013. The late Lawrence Herder had planted at least eight acres of vines, among them Syrah and Bordeaux reds, which grow so well here. During the early years at Corcelettes, Charlie also worked at the Clos du Soleil winery, which was being planted just down the slope from Herder. “I have always had my eye on this place since I worked here,” Charlie says of the Herder property. Charlie’s parents are from Switzerland, where the family farm on Lake Neuchatel was called Domaine de Corcelettes. Urs and Barbara emigrated to Canada, buying a grain farm near Brandon in 1978. Urs and Barbara moved to British Columbia in 2007, attracted by mountains reminding them of Switzerland. They bought an organic garlic farm near Cawston and converted it to vines in 2010. This was the original vineyard, sold after Corcelettes moved to the larger property. Being Swiss, the Baesslers included Chasselas, Switzerland’s most widely planted white, among the varietals in the original vineyard. That grape was one of three anchoring a white blend called Trivium. Now that Chasselas from the original vineyard is longer were available, the Baesslers have begun buying the grapes from St. Hubertus Estate Winery – the other British Columbia winery with Swiss owners. The Herder property taken over and extended by the Baesslers grows excellent big reds. “Cabernet Franc is one of our rock star varietals in this vineyard,” says Jesce. “Merlot, Cabernet Franc and Syrah are our three cheer leaders. The winery’s original tasting room was part of the baronial house which Lawrence Herder had turned into a winery. Charlie and Jesce took over the top two floors of the house after the birth of their twins. The tasting room was moved down to the winery level, which is now crammed as production increased at Corcelettes to 3,000 cases a year. The new tasting room, which opened in late August, 2017, allows Corcelettes to greet winery visitors away from the production area. The view from the tasting and its deck offers a panorama over the Similkameen Valley. The vineyard, now more than 15 acres, has given Charlie access to red varieties and to Chardonnay. The winery also purchases grapes from several other Similkameen vineyards, allowing it to offer a full portfolio. A note on names. The elder Baesslers they had a farm in Switzerland named Corcelettes. Menhir, the winery’s excellent Cabernet Syrah blend, takes its name from stone monoliths found in Europe. Corcelettes Santé 2017 ($19.04 plus tax). This is the winery’s first sparkling wine, a carbonated response to the rising demand for sparkling wines. It is a blend of 60% Pinot Gris and 40% Chardonnay. It begins with fruity aromas. It has flavours of citrus and pear, with a crisp, refreshing finish. 90. 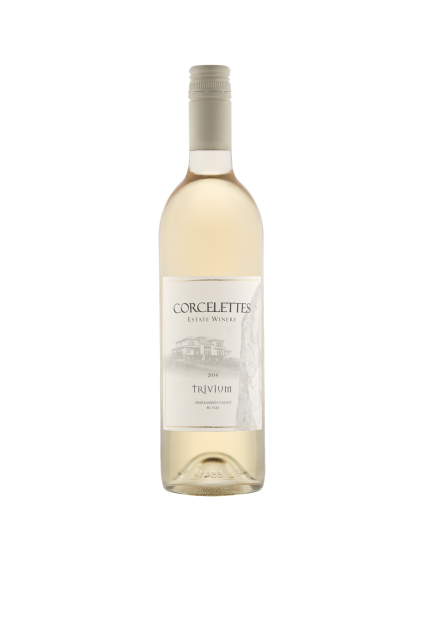 Corcelettes Trivium 2016 ($19.90). This is a blend of 40% Chasselas, 35% Pinot Gris and 25% Chardonnay. The wine begins with aromas of apple, with a note of wet stone minerality. On the palate, there are flavours apple, pear and lychee. This is the final vintage of Trivium because the grapes in the blend are directed now to sparkling wine and to varietal Chasselas, which has just been released. 90. Corcelettes Chasselas 2017 ($21.65 for 92 cases). This refreshing white just screamed for a cheese fondue, the classic Swiss pairing. The wine begins with aromas of peach and citrus. On the palate there are layers of lemon, pineapple and quince flavours. The wine is available only at the winery. 92. Corcelettes Gewürztraminer 2017 ($17.90 for 175 cases). The wine begins with floral and spicy aromas leading to flavours of grapefruit and pineapple with a spicy finish. 90. Corcelettes Oråcle 2017 ($19.90 for 190 cases). This is made with Zweigelt, a variety that Charlie has been getting for several vintages from LadyHawke Vineyard near Keremeos. It only took four hours of skin contact with half the grapes to achieve a festive pink hue. The wine has aromas and flavours of wild strawberry and strawberry on the refreshing and dry finish. 90. Corcelettes Pinot Noir 2017 ($24.90 for 575 cases). Deep red in colour, the wine has aromas and flavours of cherry and strawberry. It is juicy on the palate, with a developing silky texture. 90. Corcelettes Merlot 2015 ($26.90). This wine was released last October. The aromas are powerful, beginning with notes of blueberry and black currant jam. The texture is rich and concentrated, with flavours of black currant, black cherry and plum. 92. 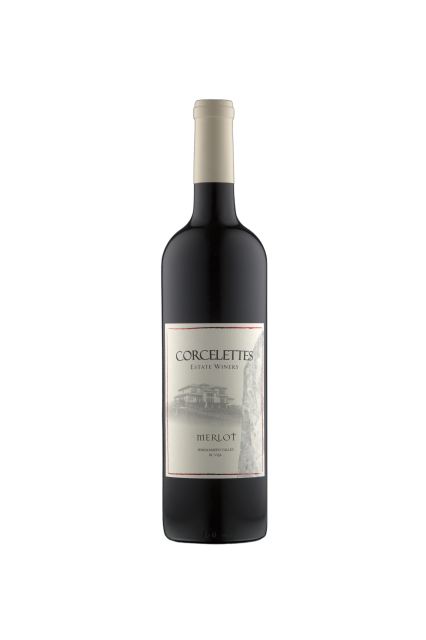 Corcelettes Merlot 2016 ($26.90 for 490 cases). The release of this wine is imminent. It begins with aromas of black cherry and blueberry leading to flavours of black currant, black cherry, vanilla and cedar. The tannins are firm but ripe. The wine will cellar well. 91. 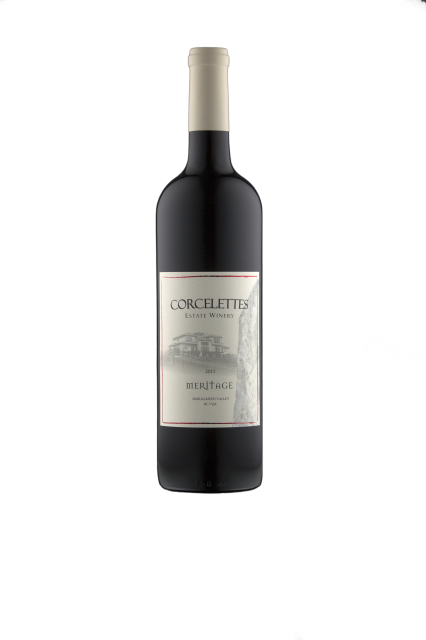 Corcelettes Meritage 2016 ($34.90 for 325 cases). The release of this wine is imminent. The blend is 46% Merlot, 34% Cabernet Franc, 4% Malbec and 2% Petit Verdot. This is an elegant and polished red, with aromas of black cherry, cassis and vanilla. On the palate, there are flavours of black cherry and black currant mingles with notes of dark chocolate and cedar. Once again, there is a lingering, spicy finish. 92.